Now retired, Alchemy, as he is better known, moved to Copabella in early 2010. Now 16, Al has had a long competitive career, first showjumping with Vicki Roycroft then eventing to 2* level with Jessie Curtis in Albury. Al was bred by Rona von Stein. 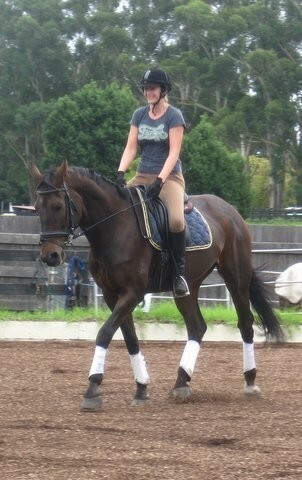 He's by Voodoo out of Rona's old competition mare Madam. Sophie Corker has owned Al for almost two years now and has focused on his dressage training with considerable success at local shows.